Give wings to underprivileged children for their dream trip to NASA. Meet Bhavani. 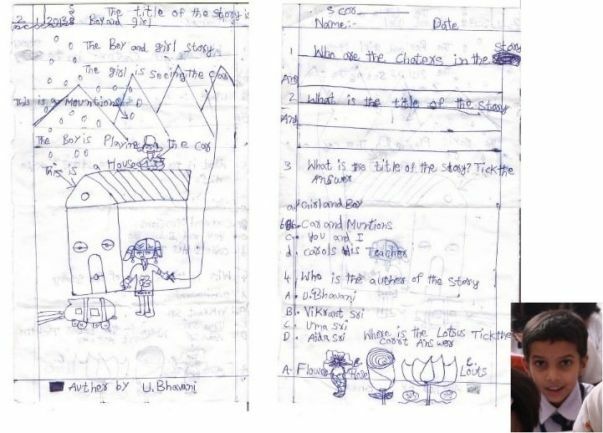 She wrote this wonderful story with questions by herself when she was in Grade 2. It might be normal for you and me but for this young girl it was an expression of her desire to do more; more than what her reality constrains her to do. She is from one of many marginalized communities in old city area of Hyderabad. Her father runs a small shop and mother is a house wife. She is a first generation learner. Due to the financial constraints, her parents can only afford to send her to a low budget school where fees is less than ₹250 pm. Now she is in grade 7, consistently topping her class and trying to dream a little more but pulled back every time by the reality. But she’s not the one who easily gives up.Inspired by the stories of Kalpana Chawla and Sunita Williams, she now dreams of becoming the next female astronaut from India. People from her community have never dared to dream this big. But she can change that. She can bring a new hope in the community and inspire others to dream big. 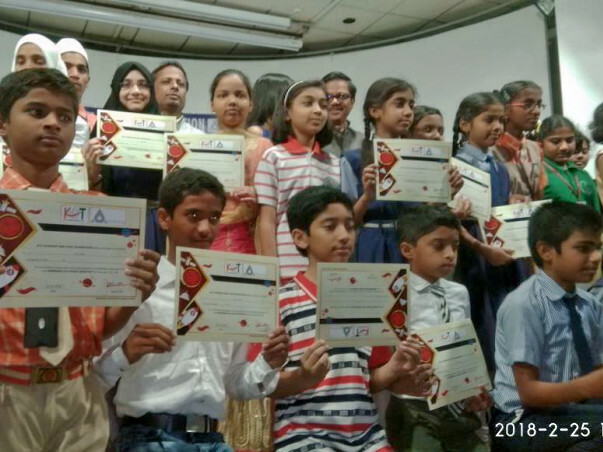 Bhavani along with 9 other students from under-privileged communities have been selected for a dream trip to NASA (Johnson Space Centre, Houston) by the KAT Academy. 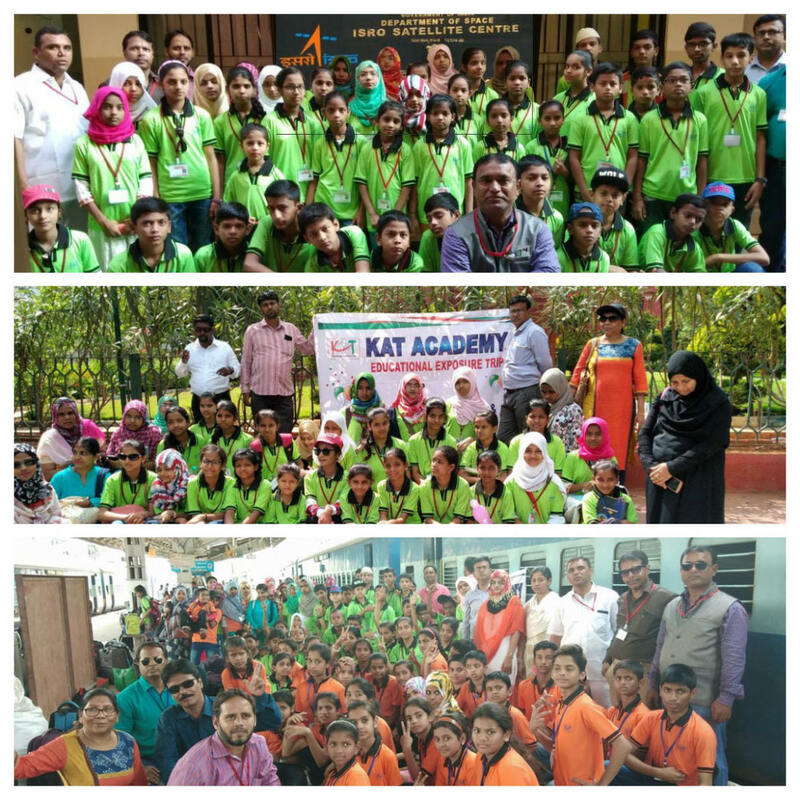 KAT Academy is brainchild of Dr. Mohd Anwar, Chairman of MA Ideal Schools. He is someone from the community. For more than 30 years he has been championing the cause of providing quality education to children from under privileged communities. He strongly believes that by providing opportunities and creating powerful experiences like this will motivate the children to dream bigger and improve their confidence. 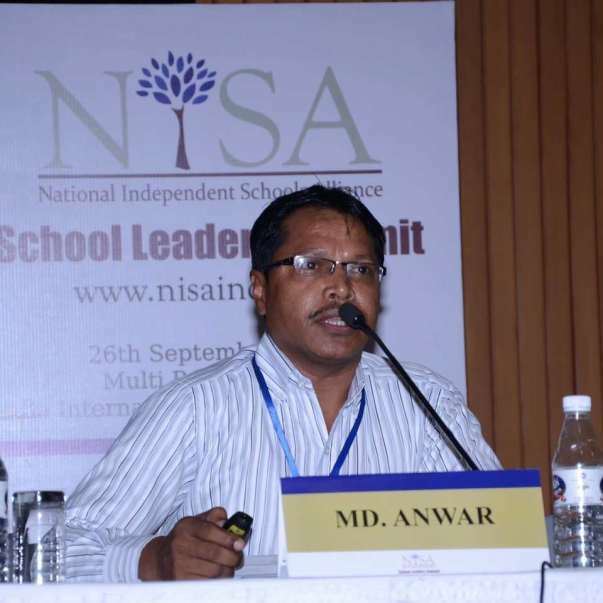 In says “I believe in providing opportunities, give exposure and build high expectations in life of the economically suppressed children (underprivileged students) “. He aims to inspire students, teachers, school leaders, parents and low income communities to believe in themselves, take ownership and collectively provide a better education to their children. With this belief he started the KAT Academy in partnership with Loop Education Foundation. 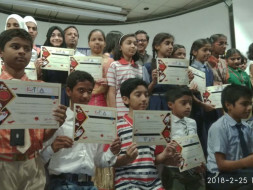 As a first major initiative, 10 deserving students from under-privileged communities will get a chance to go to NASA. To select the students, an aptitude test was conducted, the KAT exam. KAT (Knowledge Aptitude Test) is an in-house designed standardized aptitude test for students in Budget Private Schools of Hyderabad. 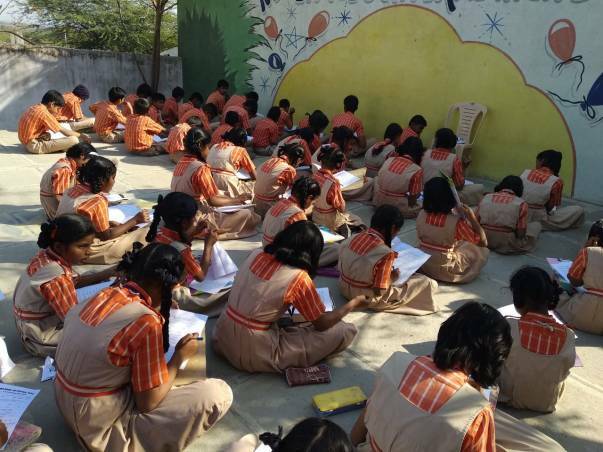 More than 4800 students (from Grades 3 to 10th) across 69 Low Cost Private Schools in Hyderabad gave the first round of assessment in January 2018. 780 students qualified for round 2 from which top 10 have been selected to go to NASA. Next 40 students will be taken to ISRO Sriharikota and next 50 students to VIT Museum Bangalore. You can know more about the exam, results and the participating schools here: www.bpsnasa.com. Along with the 10 students selected, 2 teachers will be accompanying them as guardians. The 12 member team will visit New York, NASA HQ at Washington and Johnson Space Centre at Houston. We have already received a confirmation from NASA for the logistics of the trip which will happen in first week of May. The total cost for the trip to NASA Houston and back for team of 12 is coming out to be around INR 23 Lakh ($35,500). The cost for taking 40 students and 6 teachers to ISRO Sriharikota is coming to be around INR 1.3 Lakh ($2000). The breakdown of the cost can be can be seen on this sheet . You can give wings to the dream of Bhavani and other students selected for the trip by contributing to the campaign. As little as your one day's salary can be a big contribution for the campaign. You can also help us connect with corporates and organizations who can support the trip logistically. You can spread the word in your circle, among your friends, family and colleagues. A small act of kindness from you will go a long way in empowering the under-privileged children to dream big and give them a hope, hope for a better world. 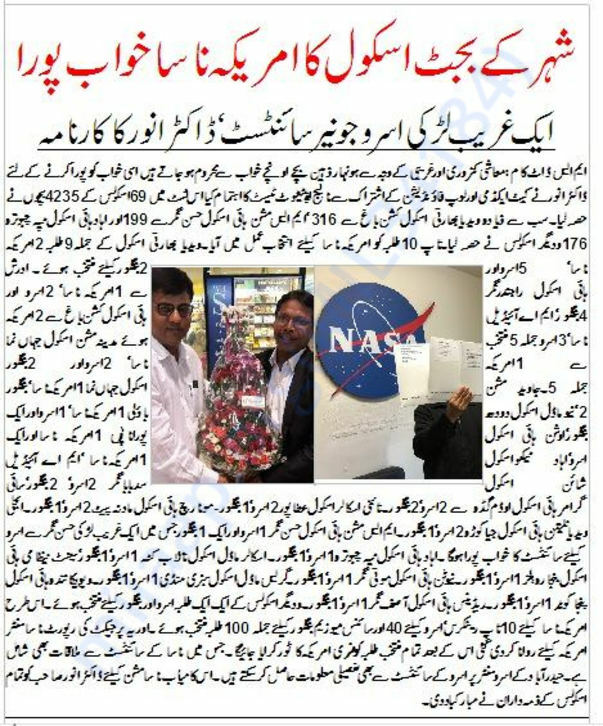 After successfully completing the Bangalore ISRO visit, we have been trying hard to get the US Visa but in-spite of multiple interviews and requests, US Consulate has denied the visa. Nevertheless we are determined to give our children the exposure they deserve and hence have decided to take the children to Hong Kong Space Museum. Meanwhile we are still hopeful, if not this time we will again try to get US Visa and if you have any contact in US embassy or can help us in any way to get the visa' please reach out to us. Once again, sincere thanks for all the support and stay tuned for pictures of excited kids from Hong Kong ! With your support till now, we have successfully completed the exposure trip for 100 kids to ISRO Center and VIT Museum Bengaluru. Now the next stop is NASA Houston Center. We still are some way from the target and need your support more than ever. You can help us by sharing the campaign in your circle or by starting a support campaign. We really appreciate all your support! Thanks for all the support till now. We have couple of happy news for you. We are happy to announce that we got permission for our students to visit the ISRO ISAC center and HAL also in Bangalore. 90 deserving underprivileged students will be heading there this weekend. We are also in advance talks with US consulate in Hyderabad for Visa approval of the children. Hoping it works out in next week. The big update - we have been able to raise around 10 lakhs on ground. Inspired by the positive impact among the students and parents, various schools and some respected citizens of the community have pooled in their money to ensure we are covered for Visa cost and pre-booking of tickets. We still need around 15 lakhs to cover the cost for entire project and are hoping with your support we will be able to achieve that. Once again thanks for all the support, you have helped spark a dream in lives of underprivileged children and have given them a hope for better future.